10 healthy meals, Typically for people simply looking for convenient "healthier options" on the run. Includes 2 breakfast options, 8 Lunch/Dinners. Breakfast, Lunch & Dinner X5 days. This program is designed to help those with everyday basic needs and leaves room to use your own resources for snacks, protein shakes, or room for eating out or cooking at home. You can request to skip breakfast dishes if you prefer, in which you'll receive a duplicate of another in its stead. 20 Meals + 5 snacks. This program is designed as a 7 Day program that allows 1 "CHEAT MEAL" weekly. Also common for those who are active or have the need to "Eat to Perform" active lifestyle. Busy households when everybody is on the go and need relief. People who buy this program are often always on the go; professionals, athletes, busy families, also those who like to avoid shopping and cooking altogether. We know that not every person we prep for has the same needs and wants. now you can work one on one with one of our staffed dietitians to come up with a diet that's just for YOU. Perhaps you already have a trainer/coach, a doctor prescribed diet or a nutritionist already... that's great too, just send it to us and we'll do those diets too! Is a Full 7 Day nutrition program. This plan includes 3 meals and snacks daily. Keto programs are written 100% to achieve & maintain ketosis from a biological and nutritional point. This requires an exact formula. When you deprive your body of carbohydrates, which are the main fuel source for people, you’re also depriving your body of its ability to keep glycogen stores filled up. When your body is in ketosis, it begins to convert fat into ketones which become your body’s new fuel source. It is written per individual basis and is very macros specific to each person's body type, exercise or activity level, food preferences, endocrine or physical restrictions. In volatile situations, please consult your doctor before beginning a Keto program to see if it's right for you. Drafts are automatic and on Friday of each week. We have a highly active Account Management tab for suspending dates, modifying, updating information, asking questions and changing your program. A minimum 4 week commitment is required in order for us to plan and execute efficiently. There is a one time $40 enrollment fee per adult registered. 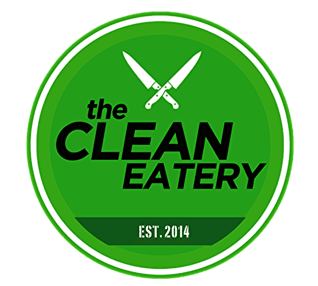 Whole 30/Paleo, Vegetarian, Vegan, Pescatarian, & Gluten Free Options available. *the same menu is made with selected menu Option friendly versions or substitutions. Meals are prepared fresh daily and delivered immediately. Our food does not have preservatives nor substrates. It's not meant to be frozen and is not meant to be sustainable beyond 7 days, it is meant to be eaten.